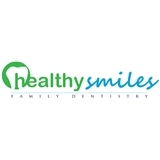 Healthy Smiles Family Dentistry (Houston) - Book Appointment Online! At Healthy Smiles Dentistry, we take a different approach to dental procedures than what you can find in any other dentist’s office in the Houston area. When you visit our office in Memorial City, your healthy smile will be our top priority. Whether you need cosmetic, sedation, pediatric, or a regular cleaning, our entire team is dedicated to providing you with personalized care dedicated to meet your needs. We understand that a visit to the dentist is something that most people try to avoid. With a comfortable and productive visit to Healthy Smiles Dentistry, your thoughts about dentistry will change completely. You can rest assured that there is no better place in Houston for cosmetic, sedation, and pediatric dentistry. It will hopefully make you feel both comfortable and educated when you come in for your next, or first, visit. We look forward to making you smile! As always, Dr. V and her staff are friendly and professional. They get get the job done quick and pain free.